Clarkson Village Town Homes is a new townhouse development currently in pre-construction at 2200 Bromsgrove Road in Mississauga, Ontario by Haven Developments. This new proposed residential development will have a total of 60 units and is located close to the Clarkson Go Station and is designed by Graziano & Corazza Architects. Clarkson Townhomes by Haven Developments is located in the Clarkson Village community of Mississauga which is located close to the shore of Lake Ontario by the southwest corner of the city. This area consists of a mix of entry level homes all the way to upper class homes with large industrial sites outlining the neighbourhood. The new Clarkson Village development site is situated where the Architectural School Products Ltd. showroom is currently occupying and is also within walking distance to the Clarkson GO Station. This is one of the attractions for young professionals requiring easy access to downtown Toronto via the Go train. The Clarkson Village town houses are situated in an area that is mainly residential and is also located close to schools and parks such as Hillside Park, Hindhead Park, Clarkson Park, Bradley Park, Birchwood Park and the Meadow Wood Park. It is also located not too far away from the Rattray Marsh Conservation Area where you can walk on the trails and bird watch by the Lake Ontario shoreline. There is also the Jack Darling Memorial Park where you can find picnic areas, walking and biking trails, tennis courts and "one of the largest fenced in dog parks in Ontario" also located near the lake. This development is situated just south of the Queen Elizabeth Way and just north of Lakeshore Road West and close to Highway 403. Haven Developments is the real estate development company for the Clarkson Townhomes. They specialize in new condominium construction in the Greater Toronto Area and their projects are located close to accessible public transportation and "developing infrastructure". 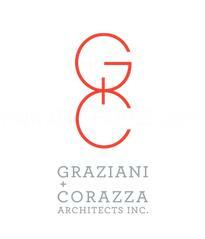 Graziano & Corazza Architects is the Toronto-based architectural firm that was established in 1997 responsible for the design of this new low-rise development. They specialize in mixed-use community, commercial, institutional, residential and neighbourhood infill projects. 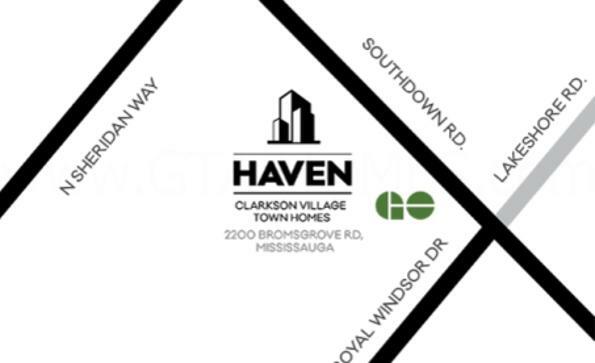 Register with us today for more information on the Clarkson Village Town Homes by Haven Developments!